Phil Brown’s appointment mid-season by Pune isn’t highly regarded by many to be an ideal one, especially after the under-average outings most English managers have had in the league. However, if dug deeper, the Stallions, though have taken their time, might just have found the missing piece. One needs either courage or utter desperation to take risks and in Pune’s case, it seemed more to be the second option after they ended the first half of the season with seven losses from 12 matches. They would now have to win all the remaining six matches to fancy any chances of qualifying for the playoffs. 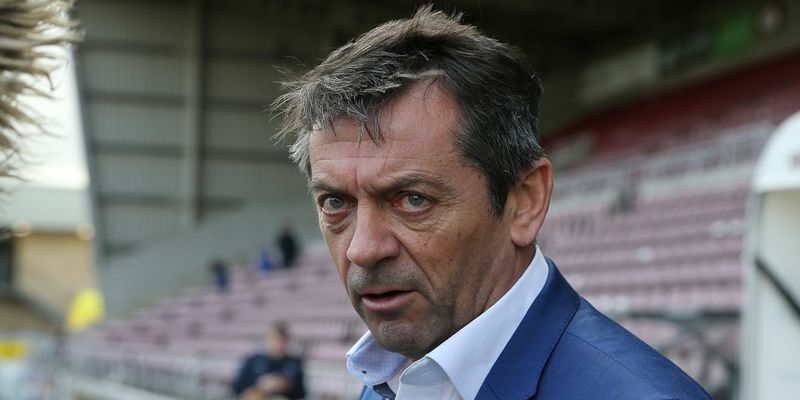 And although many would think that Phil Brown’s convincing resume to perform in such situations was the sole biggest reason for his appointment, it seems to run way deeper than that. His very first challenge as a manager, back in 2006, had a familiar context, when he was shouldered with the task of keeping a second-bottomed Hull City side afloat. Not only did Brown manage to do that but also took the Tigers to top-flight English Premier League the very next season, where they had quite a few historical moments. Though there is no relegation in ISL the challenge stands similar for the Englishman, who made a livelihood out of delivering short-term results. To further his cause, the strange statistics of teams improving drastically, almost instantly after a managerial change, could pay off for FC Pune City well. Though Pune tried it very early in the season to limited effect, Pradyuman Reddy, as Brown recently mentioned, did “manage to turn a corner” with the undirected side. And now with results coming in bits and pieces, a loud-mouthed, expressive Brown could potentially have a jolting effect on the side in the next few weeks. Pune’s stallions have pulled the heavy midfield setup well and Brown’s long love for it makes this appointment look meticulously planned. With one month already in his pocket to familiarize with the squad, Brown also had the luxury of having old acquaintance Iain Hume in the team alongside a rejuvenated Marcelinho. Though Pune won’t be expecting sheer tactical astuteness from Brown that Sergio Lobera, Cesar Ferrando, or Carles Cuadrat brings, the South Shield man did spend a considerable amount of time under Sam Allardyce and would be bringing a more defined role for all the players giving individuals bridled freedom to express on the field. Already calling Pradyuman Reddy “Prad”, Brown has hinted at the flamboyance Pune’s dressing room and ISL sidelines would be witnessing. Another huge advantage for Brown would be Pune’s formation that Reddy has practiced in the last month or two. Pune’s stallions have pulled the heavy midfield setup well and Brown’s long love for it makes this appointment look meticulously planned. Brown has mostly used a 4-4-2 or a 4-5-1 setup throughout his career and when used to perfection, it helped him get his career’s two biggest wins away at Arsenal and Tottenham. Given the urgency of the situation and the instant impact he is expected to make, Brown would put his best feet forward and a 4-5-1 changing into a 4-4-2 is a likely coy expected. The familiarity doesn’t here either. Brown’s best wins had two strikers - the towering Daniel Cousin and heavy worker Marlon King – up top who executed his strategy to perfection. And guess what? He would have a towering Robin Singh and veteran Iain Hume to give shape to his vision again this time. Brown has previously worked with Hume for two seasons during his time at Preston NorthEnd, where the striker had managed to score 14 goals and six assists in 29 matches, and the Canadian international finally getting his mojo his old task master could make the best out of him again. The four-man or five-man midfield, which Pune and Brown would prefer, also quite surprisingly accommodates the best of Pune’s players in it. With a lone striker up front, Pune have Marko Stankovic, Diego, and Ashique Kuruniyan taking offensive duties with Adil Khan and Jonathan Vila playing deep. And in terms of a more balanced 4-4-2, Stankovic could start from the bench as has been the case with him mostly this season so far. A fully fit squad and a manager with the expertise of getting instant results with the preferred setup, look too good to be true for the Pune squad and I wouldn’t be surprised to see them pulling some major upsets in the remaining few weeks of the Indian Super League. Apart from Pune, the one major thing worth noting would also be the theatrics Brown would be bringing to the Indian league. While he assured there wouldn’t be any more on-field speeches happening this time round, Brown is defined by his flamboyant, out-spoken nature and he won’t be able to subdue that. We still remember the Hull City manager singing a verse of Sloop John B, by The Beach Boys, as he decided to give the lyric a more positive slant, “I don’t wanna go home/ this is the best trip I’ve ever been on,” after Hull escaped relegation by the skin of their teeth despite losing the last match of the season to Manchester United in 2009. More than all his experience, and the above prerequisites that he somehow accidentally seems to tick, Brown is that bundle of energy that Pune so badly need, who doesn’t bother giving his lads a dressing room talk on pitch, and is the first to apologize if a training pitch brawl bothers a women brigade outside.